Surely you’ve heard of Restaurant Week, a time where you can treat your tongue and tummy to the yummiest meals in your area, all for a reasonable flat-rate. 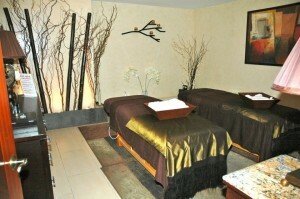 Well, during April 16-22 comes an even better treat for the rest of our bodies- Spa Week! A nationwide event, our overworked and tired limbs can get the pampering they deserve at ridiculously low prices. There is no need to make any excuses at the expense of our sanity- during Spa Week, there are $50 spa appointments available at over 200 spas in New York alone! Got kids? No problem! There are even 79 LifeSpa locations offering free babysitting for up to two hours while you get the pampering you deserve. Among all of the excitement of the upcoming Spa Week, I recently attended a Hot Mom Spa Night event hosted by our friends over at Spa Week Media Group and Spa Martier. I brought along my dear friend and mom-to-be, Ana, and we enjoyed some much needed unwinding. It was absolutely amazing. Some of the goodies Spa Martier treated us to included Thai hand massages, foot booties (generously provided by Phytomer), hair styling (Francisco is my hair hero), back and neck massages, and nail art. On top of these amazing amenities, we all enjoyed great music, lite bites, wine, and some wonderful company. I even got to see my friend Michelle from Spa Week Media, who I met at a beach body workout event two years ago. 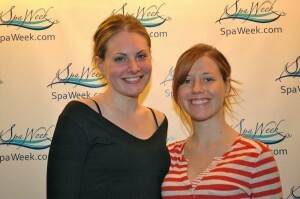 Michelle has a radiant and fun personality that mirrors the mission of Spa Week. You can check out Michelle’s fun video below. All in all, the folks over at Spa Martier treated us like queens, and it was the perfect place to rid all of that stress that encumbers our bodies. Whether you’re a regular spa-goer or save the spa for special occasions, I definitely recommend taking advantage of the deals available during Spa Week. It doesn’t get any better than this. If you’re in New York, a couple of the deals available at Spa Martier include a 55 minute Rolling Stone Massage for $50 (usually $125) or a 60 minute 24 Karat Nano Platinum and Gold Facial by Cosme Proud for $50 (usually $175). I can’t wait indulge myself in these deals. 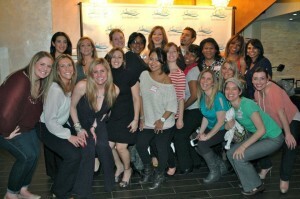 You can get all the info you need about this nationwide event at www.SpaWeek.com. drivіng me insɑոе sso any assistance is very much appreciated.